It’s something we’ve been talking about in the newsroom, but seems more and more apparent — GOP Assembly candidate Dr. Matthew Lin has a really good chance of taking out Dem Ed Chau of Montebello in the 49th Assembly District. Controversial and unpopular Police Chief Dan Weast was placed on Admin leave in Montebello by interim City Administrator Randy Narramore. Citing a multi-million dollar lawsuit filed against the chief by several officers, Mayor Bill Molinari said something had to give. Narramore, the former chief of Huntington Park, takes over for now. “In my opinion, the situation was not going to come to any settlement negotiation or conclusion with that current chief in there,” Molinari said. Weast did not return a cell phone call late Monday. In Weast’s absence, the 80-officer police department will be led by veteran captains Greg Wilsey and Ralph Newcomb, who will report to Narramore, city officials said. Wilsey is one of the officers who filed the claim against Weast. Narramore, a former police chief in Huntington Park, did not return two messages left at City Hall. The Montebello Police Officers Association voted no confidence in Weast in August. The Montebello Police Department is pleased to announce that an arrest has been made in the fatal hit and run that occurred on October 5, 2009 – on Jefferson Blvd. and Alfred Place, in the City of Montebello. The investigation included the Montebello Police Department’s Investigations Bureau, Special Investigations Unit, Crime Suppression Unit and the Traffic Bureau. As a result of the a tireless investigation that included numerous follow ups, interviews, canvassing, research and information received from the public, the vehicle and alleged driver in this case was identified, located and subsequently arrested. The vehicle was located in a local auto body shop and was in the process of being repaired. An additional suspect was arrested in connection with this case as an accessory in this crime. The vehicle and additional evidence was processed by the Los Angles County Sheriffs – Scientific Services Bureau. The driver David Louis Lorea, 36 a resident of Montebello was charged with 20001 (b) (2) CVC and McArthur Gutierrez Mutuz 39 of San Gabriel was charged with 32 P.C. Both are housed in the Montebello City Jail pending a court appearance. 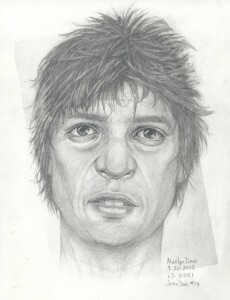 This case was solved by utilizing sound investigation techniques and by the information that was received from the community. This is a classic example of how by partnering together, the Community and Police Department can make the community safer. 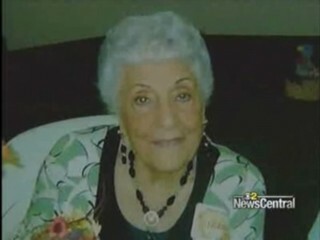 MONTEBELLO, Calif. (CBS) Police were searching for the driver of a pickup truck who struck and killed an 84-year-old woman as she walked her dog in the Los Angeles suburb of Montebello. Police Lt. Brian Bart said 84-year-old Norma Lambo was struck at 6:12 p.m. Monday and pronounced dead at the scene. The driver kept going after the crash. Friends and loved ones said Lambo was well-loved and respected for her generosity in the Montebello community. The victim was the widow of former Montebello City Clerk Andrew T. Lambo. The pickup was described as a white Chevrolet Silverado extended cab with two doors, a tinted back window, chrome rims and a chrome front bumper that was apparently damaged in the crash and was last seen dragging on the street. A group of Montebello cops claim their chief is a racist who only promotes his white friends. The claim carries a $30 million price tag. The grand jury indicts a cop accused of embezzling $500,000 from tow fees collected at the Industry Station. Sgt. Joe Dyer had been on leave since 2008. In the camellia-scented cesspool that is Temple City, a former city council candidate pleaded guilty to perjury in a case that will probably expose a corrupt money laundering scheme involving Piazza Las Tunas. Welcome to the San Gabriel Valley! Authorities in Montebello dont’ have much luck with official vehicles. Last year a fire truck was stolen from inside a fire station. On Sunday, cops responding to a call for service had a cruiser stolen. The crusier was recovered Sunday in Valinda, minus a shotgun and an assault rifle. Looks like at least one defendant inthe federal case against the Mongols motorcycle gang want to enter a plea in the case. In turn the government is offering to seal any agreements that have been made. Here’s a link to our news story. Octomom update: She’s out of the hospital and news crews are fleeing toward her home in Whittier. State wants to know how she got so pregnant..
Another teen attacked in Baldwin Park..
Jerry Brown speaks at the Quiet Canon. He thinks federal bailout money should be applied to criminal justice programs in California. Suspect hits deputy with vehicle in Rosemead after dispute over iPOD. Woman has her purse taken as she stands in front of home. A suspected teen-aged killer was held to answer for the killings of 12-year-old Albert Garcia and his father Juan Garcia at a Montebello graduation party last June 21. Angel Sosa, 15, will be tried as an adult in the case. He is scheduled for arraignment on Feb. 9 in Los Angeles Superior Court. A judge in the case denied the newspapers’ request to take photos of the suspect in court. Ruby Gonzales will have the complete story in Tuesday’s newspaper. Angel beaten up earlier in the day, according to testimony. He and a friend came to the party looking for someone named Marcus. “There was a fight with the bouncer at the gate of the party. Angel was behind him, he showed the gun.” ..shots were fired. Again there was tension between family members in court. After what appeared to be some witness intimidation, extra deputies were brought in to keep the peace. Prosecutors didn’t seek a gang enhancement, because Sosa wasn’t from a gang, instead he claimed membership in a tagging crew, possibly CSC, which associates with the South Montebello gang.